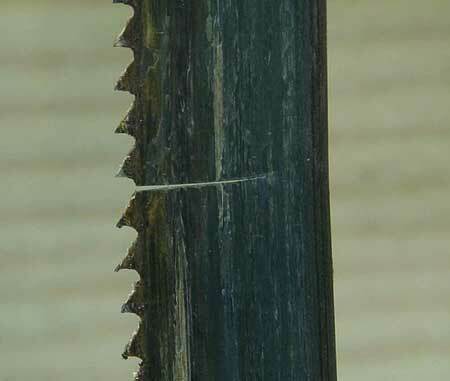 A vertical band saw may be one of the safest tools to cut wood or metal, but there is always the danger of a blade breaking and going in an unexpected direction. We all know to keep our hands away from the blade for just that reason. A blade that wobbles in and out is surely damaged, and may well be about to break. I was lucky to catch this one before it broke, so I took a series of still photos to put together the little animation above.